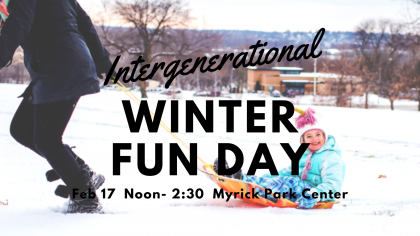 Gather with us on Sunday, February 17th from 12-2:30 at the Myrick Park Center for an Intergenerational Winter Fun Day. We’ll have a potluck and a lot of choices for indoor and outdoor fun. Bring your sleds, cross country skis, snowshoes, favorite board or card games, or knitting and crafts. The Roots and Routes Covenant Group will be sponsoring this fun afternoon for all ages in our Fellowship. For more information, contact Marilyn at mbhuck1@me.com.